TSE 900: Where We Came From And Where We Are Going! Home » TSE Podcast Post Page » TSE 900: Where We Came From And Where We Are Going! We have produced 900 podcast episodes! Today on The Sales Evangelist we’ll celebrate our 900th episode and share the impact the podcast has had on our business, as well as some highs and lows. We’ll discuss where we came from and where we are going. It’s humbling to think about. Twenty episodes a month designed to provide quality content that can help you and your sales team perform better in your sales. We’re so thankful to each of you for emailing us, messaging us, and sharing how the podcast is helping you. In preparation for this episode, I went into our Facebook group, The Sales Evangelizers, to find out what people would like to hear about. How does the podcast impact your business? The podcast made the business. My suggestion is to encourage each of you to consider operating a podcast. There are 550,000 podcasts. Podcasts exist in every niche you can think of. There are also people who want to digest the content you’ve produced. And there’s still plenty of room. Only 44 percent of people have listened to a podcast. Forty-nine percent of listening happens at home. Twenty-two percent of podcasts are consumed while driving. Sixty-nine percent of podcasts are consumed on smartphones, and 31 percent occurs on desktop computers. You can listen while you do other things like mow the lawn, walk the dog, or drive a car. 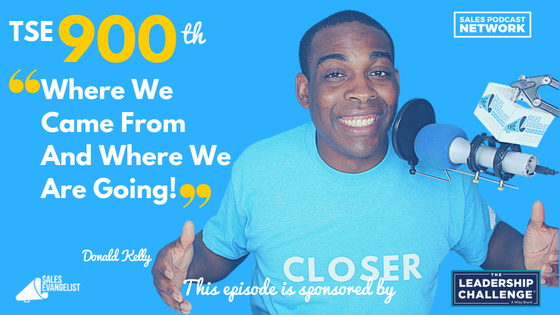 I stumbled onto podcasting when my friend Jared Easley invited me onto his podcast. There were a few sales podcasters out there at the time, and I wasn’t entirely sure I could stand up to their audiences. 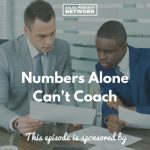 The podcast led to coaching, which led to speaking. I was trying to find my niche, and I decided to focus on sales. I added sales consulting next, which includes sales team training, and then online courses and workshops. Finally, I added The Sales Evangelist Hustler’s League, an online group coaching program. The podcast provides leads and conversations that connect us to other people. What do we not already know? We’ve recently started pushing Instagram a lot. We’re going to start sharing more content on Instagram TV at least once or twice a week. We’ll share videos, sales strategies, and other content that helps you learn who I am and improve your sales skills. We also plan to introduce a YouTube channel, which should emerge during Q4. The other thing is that we have a Sales Podcast Network which includes three podcasts, and a fourth on the way. 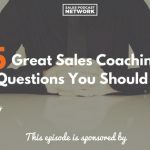 The first is this podcast, and the second is a podcast called Sold, which is a narrative interview with executives who talk about experiences they’ve had with salespeople. They talk about the things they like and the things they don’t like, and they give us ideas about emailing, prospecting, building value, and connecting. Sold will follow a seasonal schedule with breaks between the seasons. The third podcast is Video Jungle. It’s an affiliate podcast that gives you an understanding of the video industry and helps you understand how you can make your brand stand out using video. The fourth podcast is still in the works, and we’ll share more details about that later. We are growing this podcasting space, and the whole network will relate to sales. Can you share success stories? When I was a software sales rep, I met a guy during my lunch break to interview him. The guy was mentioned in Forbes magazine for the 30 Under 30 feature. When I met with him, I discovered an opportunity for the company I was working with to help the company he was working with. His company needed a secure place to store documents. Although it didn’t turn into a sale, the podcast gave me a foot in the door of that company and it made it easy to connect with the decision-makers. Another success story happened early on when I was trying to develop coaching. I created the sales page and a guy reached out to me from Tokyo. He was working with manufacturers because something changed and he needed to do sales despite the fact that he’s a tech guy. The prospect Googled sales coaching and found my page, which led to a relationship as a coaching client. He did a world tour, and I was coaching him throughout his travels. He’s out of the sales role and still in communication with us today, but we were able to help him get through the process. When I discovered we had downloads all over the world, I started the semester approach to TSE Hustler’s League. As a result, I had people join from Europe and other places around the world. It was cool enough to have people in this country join us, but it was especially cool to know that people were staying up late in different time zones to be part of the group. It was humbling to know that our podcast was impacting people and their businesses all over the world. We were helping them with sales in different markets and different cultures. I have multiple stories like that about our ability to impact people all over the world just because people listened to the podcast. It has been powerful to track their individual progress and see how they are improving. Finally, I wanted to find speaking opportunities and I was contemplating leaving my regular job. About that time, the company I worked for changed their model so that it benefitted the company but not the sellers. Basically, they were going to pay my commission over the course of several years instead of paying a lump sum, which benefitted the company but not me. I realized that the house always wins, and I decided I needed to become the house. After I left the company, I got my first paid speaking gig, and the fee was equivalent to the amount I lost when my company changed its model. That convinced me that this was validated and I was headed in the right direction. Was there a time you considered ending the podcast? The podcast wasn’t working properly at one point, and it completely crashed. I didn’t know what to do, and I was afraid no one would be listening to the podcast after this. I didn’t see how we could thrive after that. A few weeks passed and I wondered if it was worth all the effort. I got comfortable not doing the podcast. I was anxious, and a month passed before the site was restored. The thing that caused me to resume the podcast was the number of people who rely on the podcast and who have benefitted from it. During that time, listeners contacted me to ask when it would resume. I still needed to provide for my family, so I needed to do something to revive the podcast. That made me dig my heels in and focus on overcoming the challenges. We all have obstacles, but if we stop every time things get difficult, we’ll never accomplish anything. I stayed up one night for 24 hours to get it up and running, and we were back better than ever. As a natural byproduct of delegating some of the tasks, I was able to focus on things that mattered. As a result, the business continued to grow. When I tell you to get rid of menial tasks, I tell you that because it has worked for me. As we’re growing and developing, I continually find more tasks that team members can help me with. I don’t need to do it all, and it benefits my team when I ask them to help me with those tasks. What do you want to hear on episode 1,000? We’re 100 episodes away from number 1,000 and we’d love to hear what you’d like us to address on number 1,000. It would be cool to interview some of you who have been around for a long time and hear how you’ve seen the podcast grow. I’d love to hear your feelings about the show and any ideas you might have. The whole team at The Sales Evangelist wants to help you find more ideal customers, to help you build stronger value when you meet with those customers, and to give you the guidance and coaching you need to close more deals. My challenge is to go out every day and do big things. TSE Hustler’s League is a 10-week group coaching program that costs $150 a month. The program is designed to help sellers of all levels and all industries increase their sales performance. We have a new semester starting this fall, and we’d love to have you join us. Check out The Sales Evangelizers on Facebook, where a community of people shares their struggles and their experiences with selling. TSE 1057: Be Willing To Let Them Mess Up!